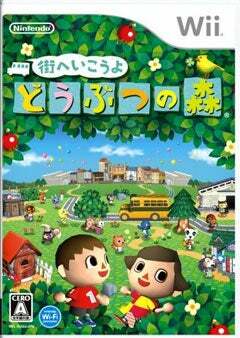 If the debut of Animal Crossing: City Folk is any indication, Nintendo has another hit on its hands. City Folk landed at #1, with Wild World For the DS still in the top 30. City Folk for the Wii was just one of five new debuts claiming half of the top ten, beating out Square Enix's Chrono Trigger DS and The Last Remnant. Another strong Xbox 360 Japanese-style role-playing game that should help Microsoft's fortunes overseas. Former chart-topper Kirby will likely move over 500,000 copies of Hoshi no Kirby: Ultra Super Deluxe by the end of the year. A handful of PlayStation 3 titles show stronger sales legs than their counterparts, potentially a good sign for Sony in Japan. Media Create sales for November 17 to 24 are after the jump.